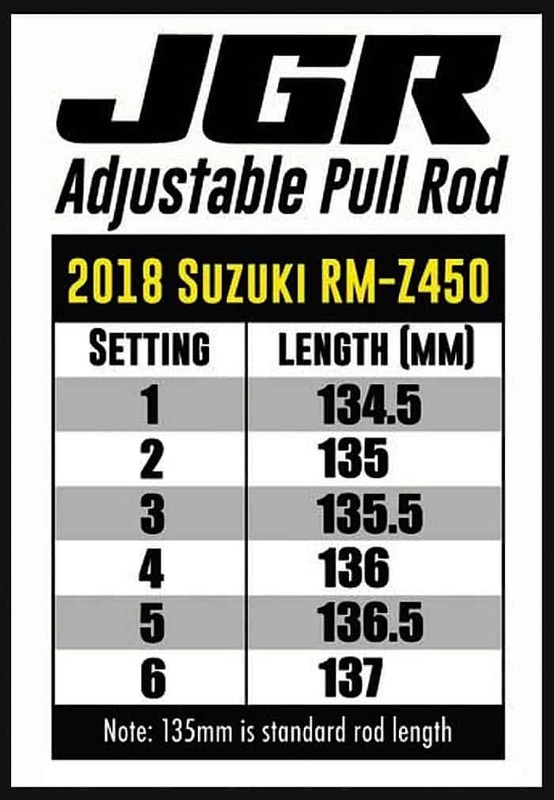 Directly from the same batch of pull rods that the 2018 JGRMX team’s Suzuki RM-Z450s use, the JGRMX adjustable pull rod is a sound investment. 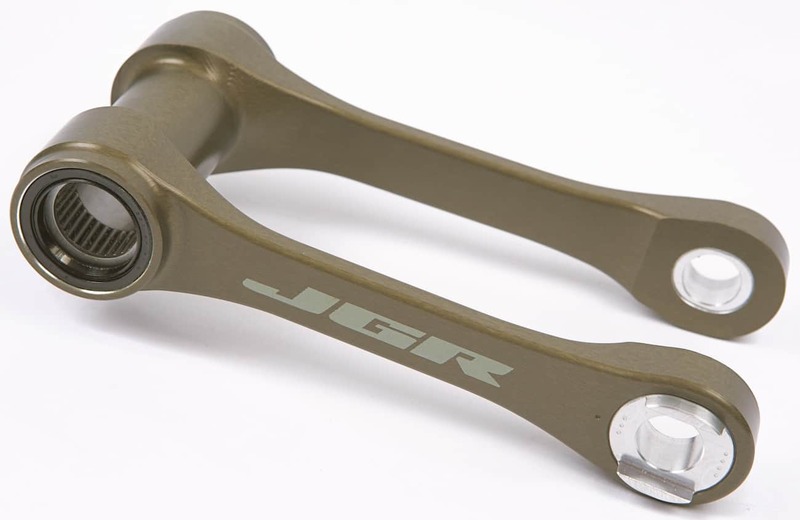 JGRMX offers six different settings, from 0.5mm shorter than stock, all of the way to 2mm longer than the stock length (which is 135mm). 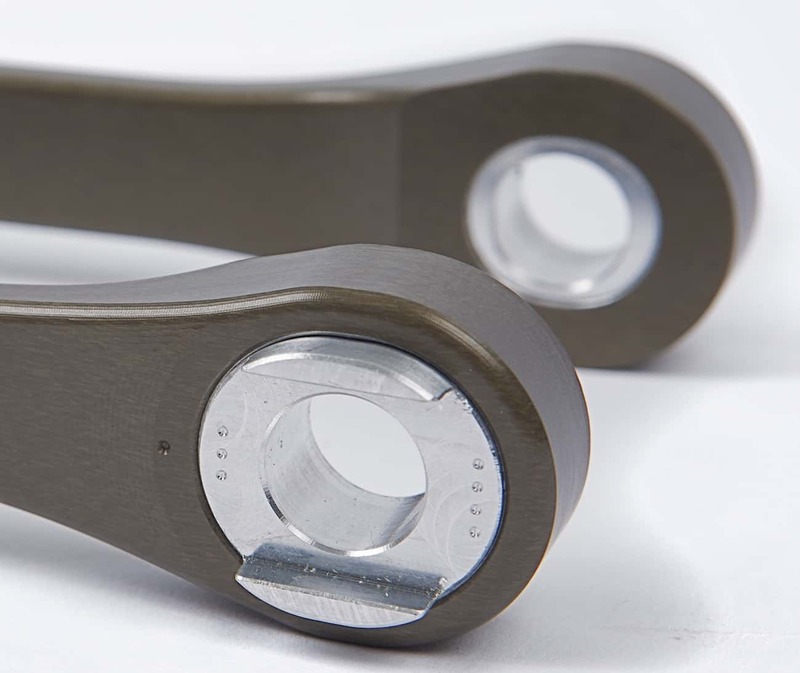 Each length adjustment is 0.5mm, so you’re able to fine-tune the handling of your bike by simply flipping the inserts. The longer pull rod is especially efficient in changing the rising rate of the rear end, thus preventing a wallowing sensation under a heavy load. The JGRMX Suzuki RM-Z450 adjustable pull rod is machined out of billet 2024 aluminum, and then hard anodized for a brilliant color finish and durability. Every adjustable pull rod comes installed with OEM/stock bearings, seals and washers to ensure proper fit and performance. Detailed instructions are included. This pullroad only fits the 2018 Suzuki RM-Z450. The retail price is $279.99. To order go to www.jgrmx.com.